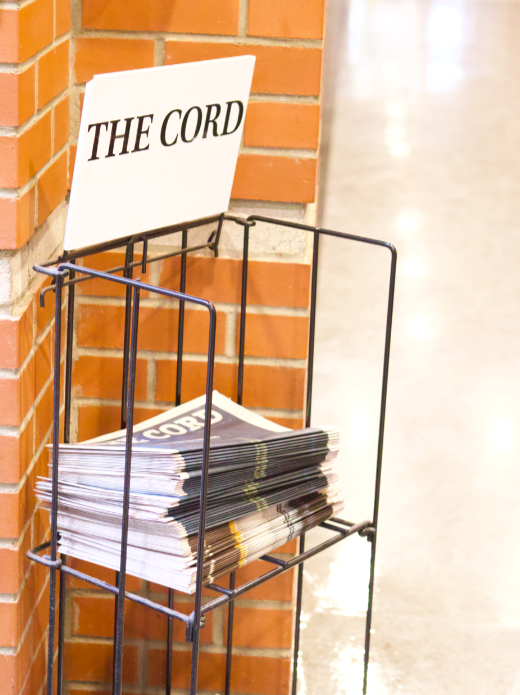 A poster containing racist statements was found slipped into the most recent issue of The Cord, which came out this past Wednesday Oct. 17, 2018. The poster was originally found earlier this week by a Wilfrid Laurier University Welcome Centre staff member in the Science Building. Allegedly, the poster was picked up inside of a copy of The Cord by an individual participating in a Welcome Centre tour. The individual brought the poster to the tour guide’s attention. The poster is in no way affiliated to The Cord. The poster also does not seem to contain the proper credentials to affirm it is affiliated with the university, an approved student club or that it has been reviewed and given permission to be distributed on campus. “Interracial marriage has negative consequences,” reads the first line of the poster. The poster goes on to express racist and unsubstantiated statements regarding interracial marriage and children of interracial parents. The Cord has chosen not to republish these statements. The poster’s content ends by referring to an upcoming Laurier Society for Open Inquiry (LSOI) event which was scheduled to take place this upcoming Wednesday Oct. 24, 2018. According to an LSOI member’s Twitter account, Laurier is charging the group $8,055 in security fees. In the past year, LSOI has held numerous events in the “Unpopular Opinion Speaker Series” which has brought forth counter-protests to campus. At one of the most recent events which took place on campus, a large amount of security was present in order to maintain the safety of event attendees and protestors. The group created a GoFundMe initiative for the Oct. 24, event, however, as of today the event has only fundraised $2,792 towards the fee. “These and other uncomfortable facts will be posted whenever LSOI faces disproportionate encumbrances to their lectures, presentations, or events,” the poster concludes. Although only one poster has been found and reported on campus, it is currently unknown if there are more distributed amongst other stands belonging to The Cord. Special Constables is currently investigating the incident.